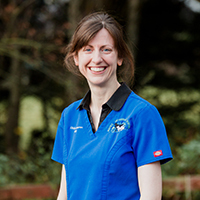 Here at Inshes Vets, we have a fantastic team of staff, including five full time and two part time vets. We also have nine qualified nurses and one student nurse and a kennel assistant. Our consulting times are arranged to be convenient for you. Appointments are spread throughout the day, and you can often get an appointment at short notice if necessary. Emergencies are always seen as soon as they arrive. 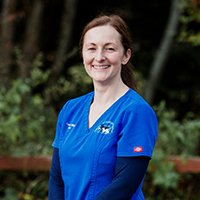 It is best to stay with one vet throughout a course of treatment, so please feel free to specify which vet you would like to see when booking. Need to see us out of hours? Our surgery phone number is answered 24 hours a day, 365 days a year. When the surgery is closed, we use a professional veterinary answering service - not an answerphone. The operator will take your details and contact the duty vet who will phone you back. There is always a vet and a veterinary nurse on call to deal with emergencies. If you require a home visit, please give as much notice as possible. Please bear in mind that in the surgery, we have the full range of materials and equipment for treating your pet. In an emergency, it is usually best for you to bring your pet direct to the surgery. We have a bright and spacious premises purpose built in 1991. Access is easy from the town centre and A9 and there is ample parking space. Where other tests are required, we use certain commercial veterinary laboratories whom we have found to be accurate and reliable. Our waiting room is large and comfortable. There are four consulting rooms where pets are examined, vaccinated etc. We try to make the visit as pleasant as possible for you and your pet. To assist us in diagnosis, we have digital x-ray facilities, endoscopy, ultrasound, and vettest equipment, which allows us to perfom an extensive range of blood tests in-house. Our operating area comprises of two theatres and a prep room. 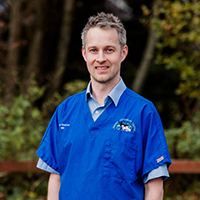 We use modern, safe anaesthetics, and all major operations are monitored by a qualified veterinary nurse or experienced trainee. Our standards of asepsis are very high and both vets and nurses take a pride in the quality of their work. The kennel room is designed to be comfortable, hygienic and warm. It allows animals recovering from surgery to be easily monitored without disturbing them. We have sufficient accommodation for at least six dogs and ten cats, with additional space for the isolation of infectious cases, or to separate caged pets from their predators. All parts of the building are wheelchair accessible. If you require any special assistance during your visit, please let us know. We now have a hydrotherapy unit and new dental operating theatre plus a groom room with a full-time dog groomer.